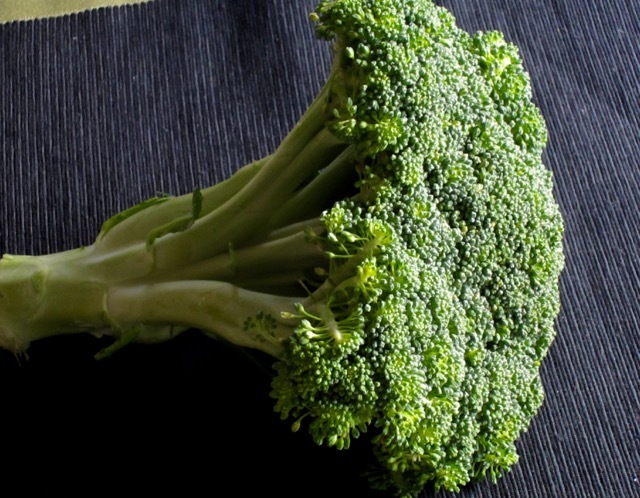 This is the most familiar type of broccoli which is sometimes just referred to as “broccoli”. It’s named after the Italian province of Calabria. It’s also known as Italian green. It has one large, compact, dome-shaped, 10-20cm head with one main thick stalk surrounded by several side shoots, that bear florets at the apex. It resembles a very compact, green flower. The florets can be green or purple. It’s a cool season annual crop, which is harvested in summer, in North America. Calabrese is an Italian heirloom brought to America in the1880s by Italian immigrants. From the United States it has spread throughout the world in the last 50 years. In the tropics, it’s grown in cool highland areas, and when grown in lowland areas, it’s done during the cool season. I recently bought some delicious Calabrese bread from my Italian market. Lots of good things come from the region of Calabria! I was going to buy Ciabatta and the clerk suggested I try Calabrese instead. I have not tasted Clabrese bread but I eat Ciabatta at least once a week. Have a pleasant day.